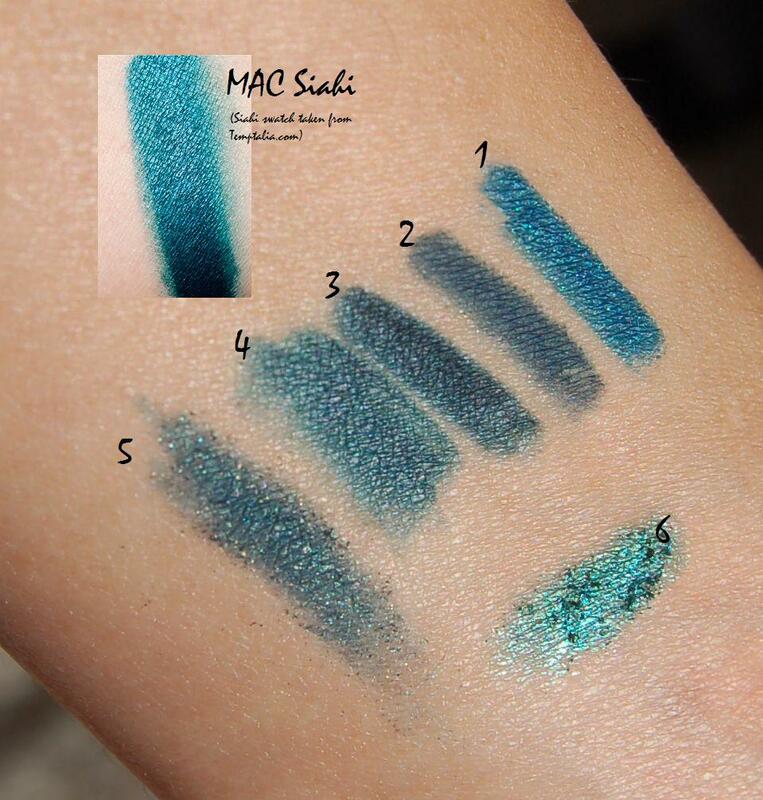 MAC Siahi looks pretty darn close to Stila Peacock (1) to me.. I love teal eyeliner!!! My favourite of all time is MAC Undercurrent Pearlglide, but it was ltd edition and I didn't get a back up :( It's teal shot with glowy gold glitter. I hear Urban Decay Covet is the closest dupe to it, but has silver rather than gold glitter. If you love teal you should check it out! @the postcolonial rabbit - thanks for the recs. I will totally try out covet.